Between March 26th and March 31st, there will be more than thirty free walks on the city streets, underground trenches, markets, and you will get to know the stories and legends that make Maribor so “mariborian”, so very much ours. We also took care of studious walks in the evenings, where we will take a walk around Maribor through the topics on literature, creative tourism, walking, industrial heritage or even on a hill where everything started - the Pyramid. In the meantime, you will be able to create your own touristic product in our laboratory; finally on the last day we will present the Rajzefiber awards and, with our tired legs, gate at Maribor in moving pictures. 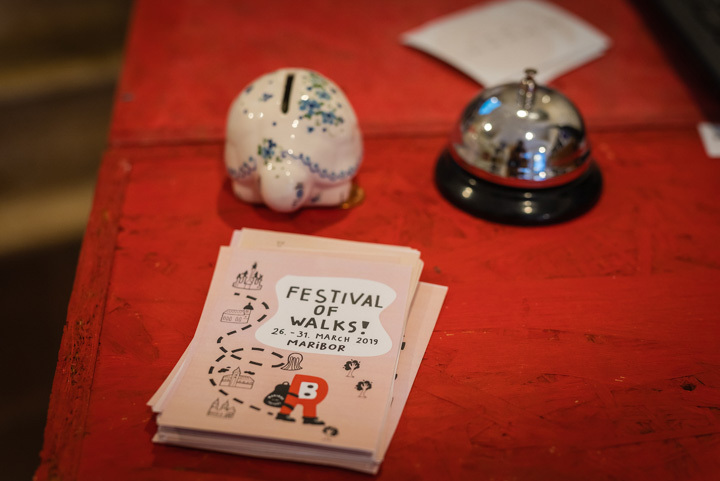 Festival of walks – the term “walks” is used as a name for different experiences, city guided tours by locals, which we call strollers. Walkers are people who live with the city and know his stories; some of them are also professional tourist guides. All walks are free, but due to the limited number of participants, reservation is compulsory over THIS PAGE or phone number 08 386 77 76 from 10.00 to 18.00. Of course, walkers will appreciate basking contributions. The walks with included tastings are covered by the participants themselves.